“Open Eurasia Literature Festival & Book Forum” — an annual international contest, festival and forum, which unites poets, writers, artists, directors along with anyone else, who considers themselves to be creative from the Eurasia region and all over the world. Contest OEBF is held within frameworks of the festival since 2012. Contest is organized in partnership with “Hertfordshire Press” publishing house, built on the principle of openness and interplay of all arts on the basis of literature. Europe. Magazine actively popularizes events taking place in the countries of Eurasian region and comes to be an only journal in Great Britain, which familiarizes Eurasian Economic Community and CIS countries to English-speaking world. Audience of printed and online versions’ of magazine reaches 50000 readers around the world. You can create your own personal book within the book series «Eurasian Creative Guild (London).» The work will be published in the British capital, the home of many world famous writers, including William Shakespeare, Jane Austen, Charles Dickens, Charlotte Bronte, Rudyard Kipling, Agatha Christie and JK Rowling. Your book will become a part of the history of mankind. It will receive its very own ISBN and the book will be given to the second library in the world — the British Library and the Legal Deposit. The book series, by Eurasian Creative Guild, will be placed not only on the largest popular shopping web site — Amazon, where tens of thousands of items are bought and sold every day – but also in online stores in Australia, New Zealand, Canada, Sweden, the Netherlands, Denmark, Great Britain and America. ECG Film Festival (Eurasian Creative Guild Film Festival) is a platform for the development of cinema of the Eurasian region. The aim of the festival is to promote Eurasian cinema in the English-speaking space and to acquaint Eurasian representatives of the film industry with professionals from all over the world. To acquaint the world with the works that personify the connection of the Eurasian countries and peoples. Show opportunities for collaboration, joint development and growth. 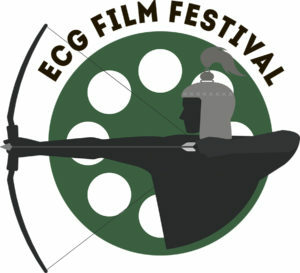 In 2019, the ECG Film Festival will be held in London as part of the British Romford Film Festival.